As the socks of doom (well, they weren't that bad) are now done, it's time to start thinking of a new project. The only yarn that I have left is the Novita Hanko cotton yarn, that I have almost three skeins of. 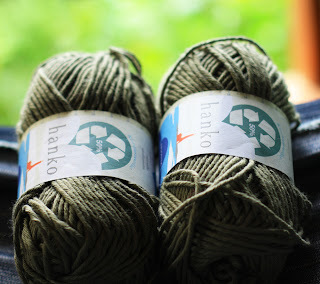 Yesterday I browsed Ravelry like mad, trying to figure out what to make. I really wanted to make some kind of a small bolero/shrug to take with me on the psy trance festivals next summer but I quickly noticed that the bolero would turn out gnome sized with only (almost) three skeins of this bulky stuff. So, change of plan. Socks? Naah, I just did a pair. Scarf? Naah, too boring. A cowl? Hey, there's an idea! There were a couple of candidates, but this one crossed the finish line first. So, Kuala Lumpur and your lovely yarn shop, get ready, because my shopping list just grew with a couple of needles!